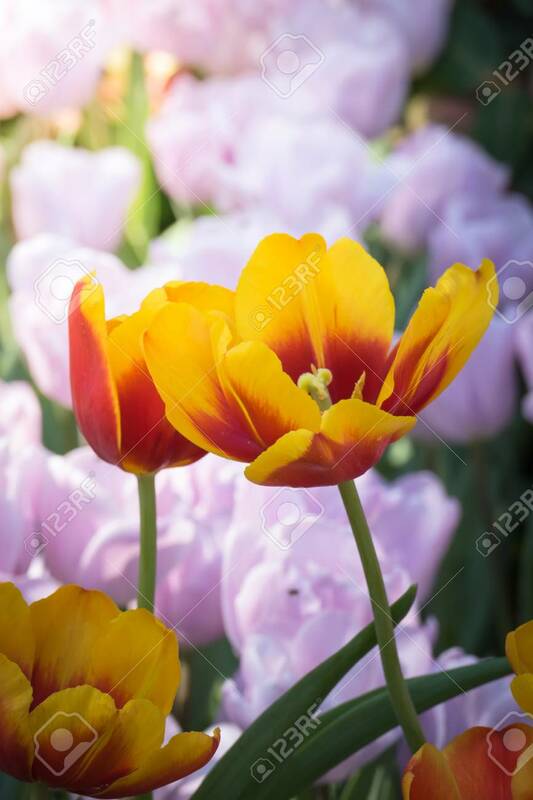 Immagini Stock - Beautiful Bouquet Of Tulips. Colorful Tulips. Nature Background Image 115545204.